"Krinitsa" beer company is launching a new brand of beer that will be sold in a two-liter container. Fabula Branding Company undertook a comprehensive trademark development. 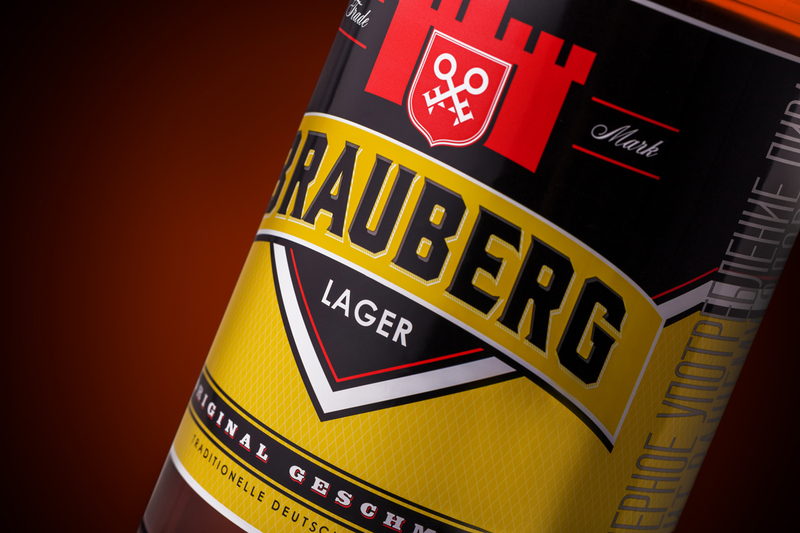 "Heraldic" approach tells the story of the glorious city of Brauneberg, where beer is a traditional drink for its citizens. They like to enjoy a mug or two in a good company and on holidays a foamy drink flows like a river in the city. 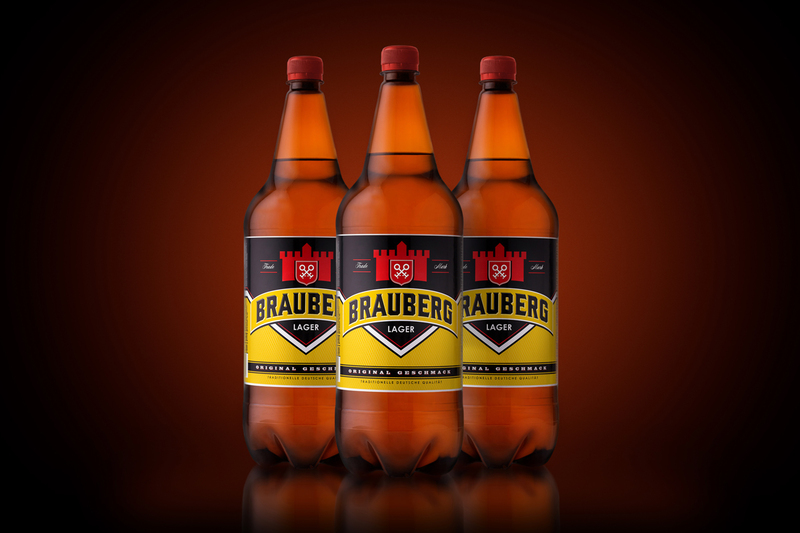 Brewers from Brauneberg are well-known for their work because it's not for nothing that the name of the city is formed by merging of two German words - brauen (brew) and berg (mountain). On the label, made in the colors of the German flag, you can find various heraldic visual elements: a shield, the keys to the city and a tower on the city wall. Strict and concise, they resonate with large and "heavy" fonts on the label, and the restrained pattern becomes a part of the composition, supporting and uniting the main elements. 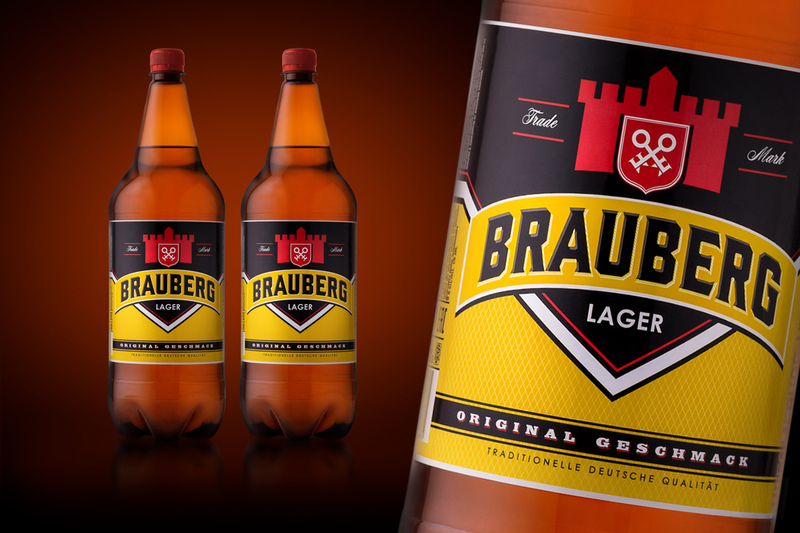 Brauneberg is a loud and broadening European name where the legend of the trademark begins. 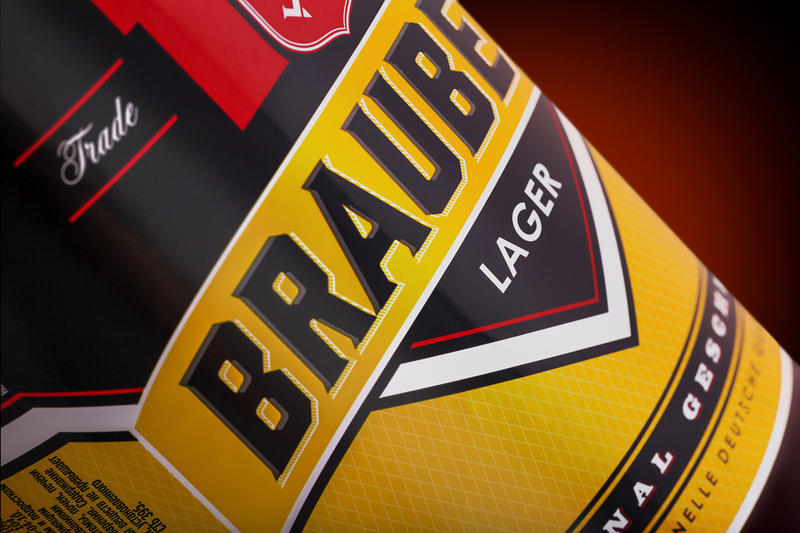 The name "Brauneberg" can easily be solved by the consumer ("most likely, it's something German") and is phonetically simple, hence it's easily remembered. As a result, the name literally turns the label into a single beautiful story about a small European city with a great fondness for beer.